Two weeks ago, I was one of the panelists at the #WomenofColorTravel Event, brain child of Jessica via The Dining Traveler. 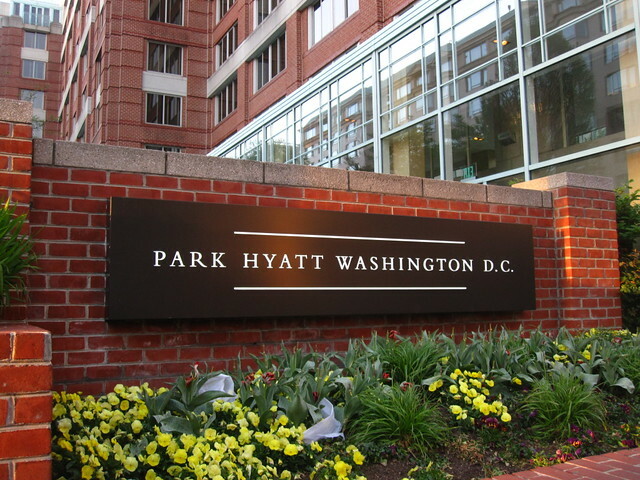 On November, 17th, 2015 a distinguished group of travel content creators, destination marketers, and influencers came together at the Park Hyatt Washington, D.C. to discuss the narrative of diversity in travel media. 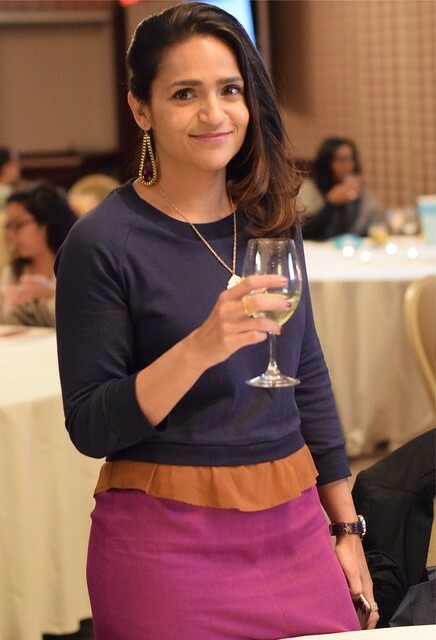 This event was conceived by Jessica van Dop DeJesus, travel writer and creator of the Dining Traveler website, who said "I wanted to bring a group of women of color together to discuss how we can make our voices heard in travel media." Given the rise of diversity in the travel space and the rise of diversity in content creation, she had a vision to bring local influencers to discuss the topic. There is a new breed of women in travel media changing the narrative. 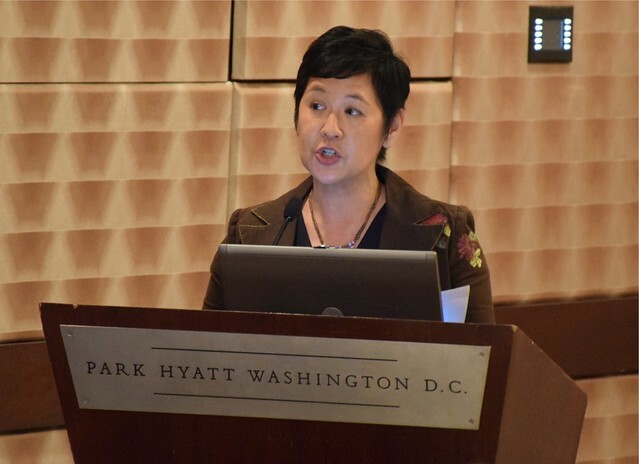 Whether it is sharing Asian-American travelers, Latino, African American, or even multicultural family travel stories, there is a rise of quality content that can be shared by destinations, brands, and travel media outlets. The keynote speaker was Norie Quintos, editor at large at National Geographic Travel Media. Quintos spoke about the value of travel, “The passport is the new diploma,” Quintos emphasized in her remarks. Bren Herrera, travel writer and chef shared her travel experiences in a heartfelt speech on what travel meant to her. Instagram personality and blogger Mel Burgos shared her experiences in solo travel. She captivated the audience by stating “The most amazing experiences come without an itinerary”. Members of the panel included Bethany Manimbo of Visit Montgomery County, Ashlee Tuck of Will Drink for Travel, Metanoya Webb of Globetrotting Stiletto, Robin Bennefield Content Manager at Marriott Traveler, Talia Salem, Social Media Manager, Brand USA and Tanvi Rastogi from Tanvii.com. The panel was moderated by Jummy Olabanji of ABC 7 News. The event attracted 30 women from the Washington, D.C. area and beyond. Kimberly Furr, a new travel blogger who traveled from Florida said, "I really enjoyed the 1st annual Women of Color Travel event. Everything was wonderful- the food, venue, and everyone who attended." Guests enjoyed cocktails and bites from Blue Duck Tavern and gift bags with items from Soul Amenities, Yuk-B-Gone travel antibacterial sprays, US Virgin Islands Tourism, Miami CVB, Roam Right Travel Insurance, Visit Maryland, Brand USA, and NatGeo Traveler Magazine. Below is a 40 min. video of a +2 hour event. I apologize in advance for the poor audio-video quality. I did the best I could at that point in time. Shoutout to Morgan, for helping me record the panel discussion. 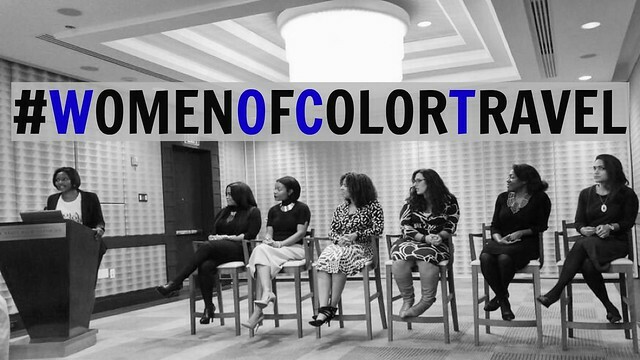 The Women of Color in Travel group will continue to have monthly Twitter chats on the 1st Wednesday of each month. To join the discussion, follow #womenofcolortravel on Social Media. That's so wonderful that you were part of this new informational platform that recognizes women of color travel bloggers!